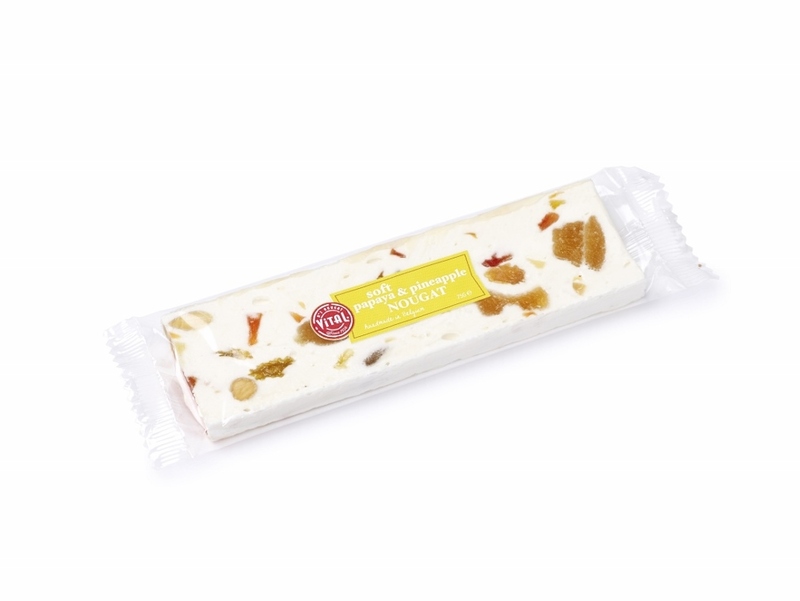 Confectionery supplier Vital : Soft Nougat bars. Vital's Nougat has a shelf life of 18 months, in its original packaging. Free from gluten, milk, lactose, peanut, colouring agents and preservatives. Cholesterol free and suitable for vegetarians. Packed per outer case: 4 displays of 25 bars each. Mixed displays available.